How many of you think that having a lot of WordPress plugins slows down your site? That’s only true if you use poorly coded WordPress plugins. With over 26,000+ WordPress plugins in the repository, it’s hard for bloggers to pick the right WordPress plugin. 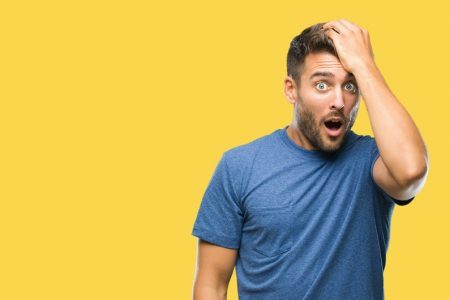 I own and mange the largest free WordPress resource site WPBeginner, so I get to test and review tons of free and paid plugins on a regular basis. The site runs over 40 plugins, and it is very fast. In this article, I will share the 10 must have WordPress plugins of 2013 that every blogger should know about. Most social media plugins for WordPress are slow and bloated. Floating social bar is the fastest social media plugin for WordPress that adds a horizontal floating share bar to your content. Floating Social Bar is easy to use with its drag-drop interface, and its eye-catching floating display allows you to maximize your social shares. 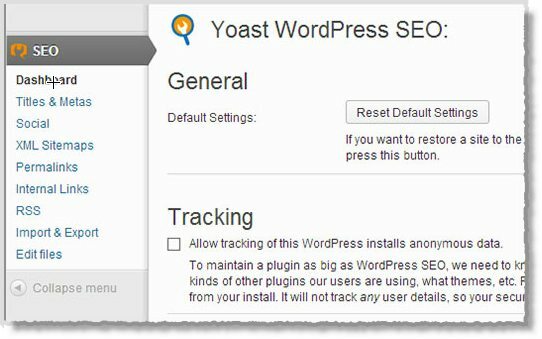 Yoast’s WordPress SEO is the most comprehensive SEO plugin for WordPress. 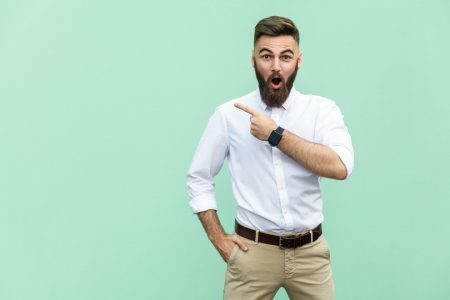 Not only does it allows you to optimize your articles for SEO, it also comes with comprehensive features such as XML sitemaps, Twitter cards, Google Authorship and Facebook meta data. Each of the above are a must have for every site. Facebook meta data is useful to prevent the wrong image, post title, or description from showing up. It is a fairly common problem that users ask me about. Twitter cards is a neat addition that allows you a preview of your link from within your tweet. We all already know the importance of Google Authorship and how it has become a shifting point in SEO. Yoast’s SEO also has various sitemap options available such as Local Sitemap, Video Sitemaps, News sitemaps, and more. Its hard to define all the features that this plugin comes with in a short paragraph. I’ll highly recommend everyone to start using WordPress SEO by Yoast. 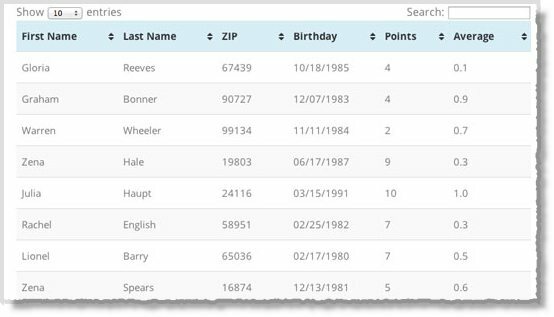 If you’re using another plugin or your theme’s SEO features, then you can use the SEO Data Transporter to help make the switch. Edit flow allows you to streamline your WordPress blogging workflow and save time. This plugin makes it really easy for you to collaborate with your team. 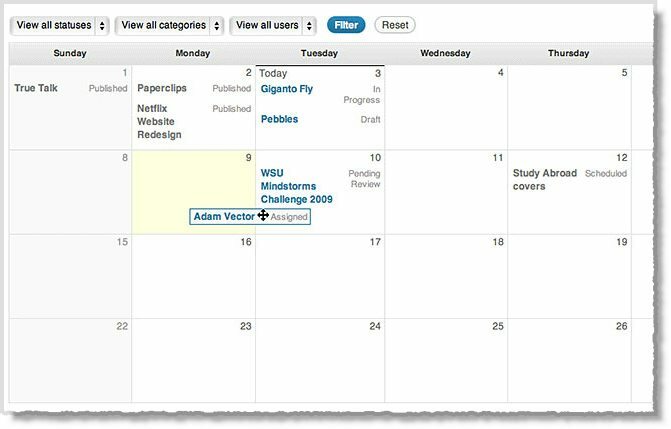 The visual editorial calendar, custom post statuses, and editorial comments are a great solution for multi-author blogs. I use it on my personal blog as well mainly because of the custom post status feature. It allows me to keep my posts organized such as “ideas”and “in progress”. Speed plays an important role in improving your site’s search rankings and user experience. W3 Total Cache allows you to cache your WordPress site and improve your page load time. Doing so, it also reduces your server load. Many large WordPress sites use W3 Total Cache to minimize server load and keep the sites from crashing. W3 Total Cache also makes it easy for you to integrate a content delivery network (CDN) on your site. All in all, it is a complete caching plugin for WordPress. 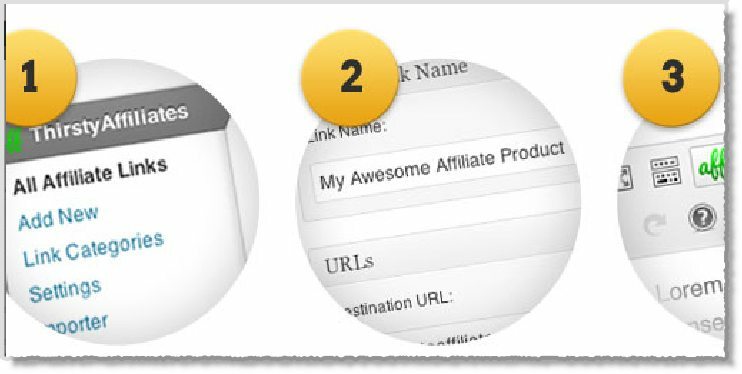 ThirstyAffiliates is an affiliate link management plugin. It helps you add and manage your affiliate links in WordPress from a central location. The built-in URL shortner allows you to convert your lengthy affiliate links into pretty branded links. 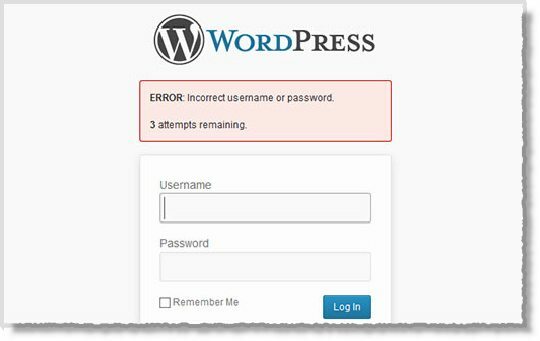 As the name suggests, this plugin limits the failed login attempts a user can make to enter your WordPress admin area. This can save you from some very basic but severely damaging brute force attacks on your WordPress site. This is one of the plugins that I always install on all of my sites. If you have an established blog with lots of content, then the default WordPress archives widget can be pretty long and messy. 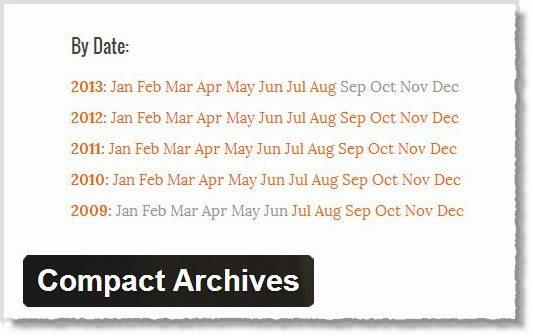 Compact Archives plugin allows you to display monthly archive of posts in a compact form rather than creating a long list of months. You can use it on your custom archives page or add it as a widget in your sidebar. It looks pretty and takes less space. Have you ever written a timely post that you wanted to automatically remove after a specific time, but didn’t know how to? For example a post about a contest or an event? This is when post expirator plugin comes in handy. 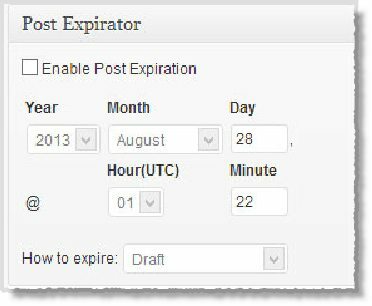 It allows you to automatically expire posts after a specific pre-selected date. When a post expires, you can set the plugin to either delete the post or move it to drafts. 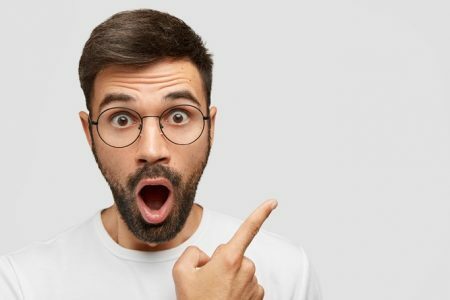 You can also show the expiration date on your posts, and let your users know that this post is going to expire on that particular date. Every now and again you might want to make changes to an old post or perhaps even redirect it to a new one? Often bloggers simply delete the article and never worry about redirecting. Setting up proper redirection can help you improve your SEO and user experience. Quick Page/Post redirect plugin does exactly that. It allows you to redirect your posts or pages to a different post or page on your site, or even an external link. There might be times when you want to do a comparison table in your posts. If you are not savvy with HTML, then your only option is to use images. What if you want your tables to have the sorting ability as well? This is when TablePress comes in. Aside from the 10 above, there are tons of other great WordPress plugins available. Anything you want to do on your site, there is a good chance that there is already a plugin for that. What are your favorite WordPress plugins? Let us know by leaving a comment below. 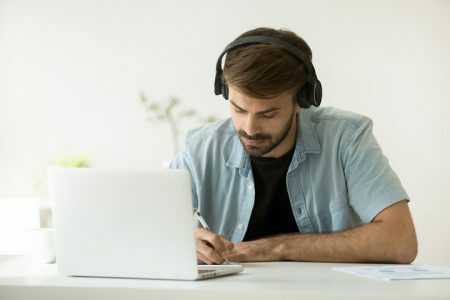 Guest Author: Syed Balkhi is the mastermind behind several popular blogs including WPBeginner, List25, SteadyStrength and more. You can find his writing on his personal blog Balkhis. My book – “Blogging the Smart Way – How to Create and Market a Killer Blog with Social Media” – will show you how. It is now available to download. I show you how to create and build a blog that rocks and grow tribes, fans and followers on social networks such as Twitter and Facebook. It also includes dozens of tips to create contagious content that begs to be shared and tempts people to link to your website and blog. I also reveal the tactics I used to grow my Twitter followers to over 149,000. Download and read it now.